For an accidental over-dose of mercury or its compounds causing vomiting—let the patient have the white of one or two eggs. 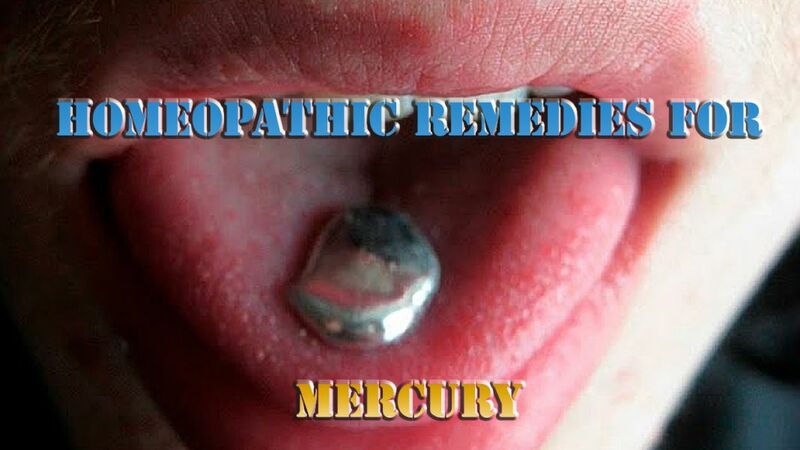 Secondary effects of abuse of Mercury: —Headaches at night, falling off of hairs, painful Tumor in scalp, inflamed red eyes, sensitiveness of tip of nose, scaling of skin of face, sore gums, constant spitting or profuse salivation, enlarged tonsils or glands of the necks, bubo or ulceration of glands of groin; diarrhoea with much straining at stool; ulcers or patches or inflammation of skin; looseness of teeth, ulcers are easily produced; use Hepar Sulphur 6 followed by Bell. 6 or Acid Nitric 6. If these fail, give Sulphur 30 once a week or fortnightly, followed by Calc. Carbe. 6, later. In abuse of Sulphur and Mercury (combined): —Bell. 6, or Merc, in high potency. In blood-poisoning leading to general deformities, give Asafoetida, Aur. Met., China, Chionanth, Hepar Iod., Kali Iod., Mezereum. In affections of inside of mouth and gum with salivation: —Carbo Veg., Dulcamara, Hepar Sulph., Acid Nitric, Staphysagria, Sulphur, China, Iod., Natrum Mur. In sore-throat—Bell., Carbo Veg., Hepar Sulphur, Lachesis, Staphysagria, Sulphur, Arg. Met., Lycopod., Acid Nitric, Thuja. In nervous excitability—Carbo Veg., Chamomilla, Hepar, Acid Nitric., Puls. In nervous prostration: —China, Hepar Sulphur, Lachesis, Carbo Veg., Acid Nitric. If any of the above symptoms occur, as the result of exposure to cold or of change of season: —Carbo Veg., China, Dulcamara, Guaiacum, Hepar Sulph., Lachesis, Acid Phosphoric, Puls., Sarsa., Sulphur, Arnica, Bell, Chamomilla, Calc., Lycopod. In pain or ulceration of bones (caries or necrosis) —Aurum, Acid Phosphoric, Asafoetida, Calcarea, Dulcamara, Lachesis, Lycopod., Acid Nitric, Silicea, Sulphur. In affections of glands: —Aur. Met., Carbo Veg., Dulcamara, Graphites, Silicea, Acid Nitric. In ulcers: —Aur., Bell., Carbo Veg., Graphites, Hepar Sulphur, Lachesis, Acid Nitric, Sarsa, Silicea, Sulphur, Thuja. In dropsy: —China, Dulcamara, Helleborus, Sulphur. [All medicines in their 6-30 potency].